With several inches of snow expected, Hillsboro snow plow crews are preparing for the worst. Hillsboro work crews are prepping for a major winter storm to hit Washington County this weekend. Weather reports call for several inches of snow Saturday, with more in the forecast. City spokeswoman Lindsay Wochnick said Hillsboro's Public Works Department is keeping an eye on the forecast, and crews are readying snow plows, for several days of work to plow city streets. 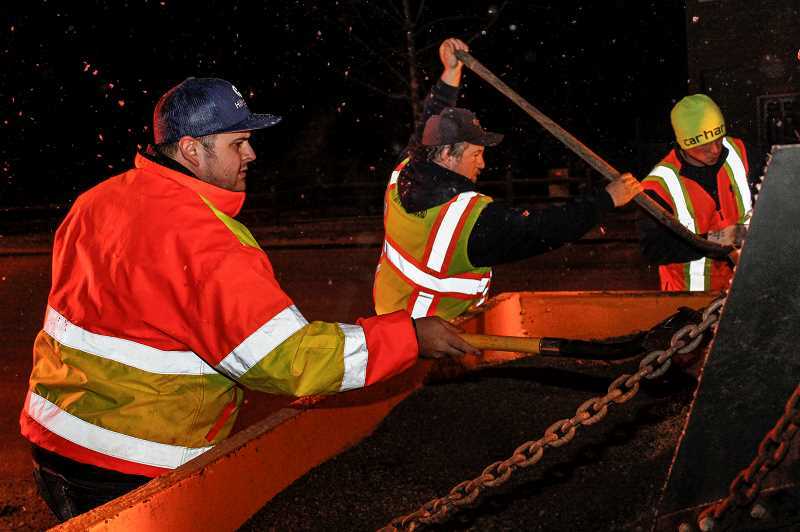 Crews will work around the clock, if needed, to spread sand and gravel at major intersections, hills and other areas to improve traction for drivers, and snow plows will be sent out to remove snow from major roads. 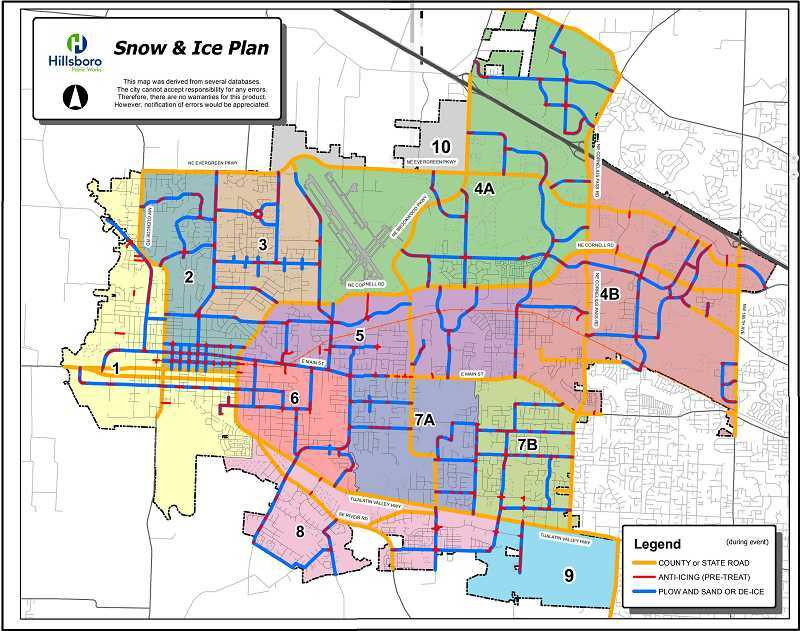 Wochnick said snow plows will focus on major city streets, including Main Street, Jackson School Road, Minter Bridge Road and Century Boulevard. Several streets, such as Tualatin Valley Highway, 185th Avenue and Cornell Road, are owned and maintained by Washington County or the Oregon Department of Transportation. Road crews from those agencies will be responsible for keeping those streets clear, Wochnick said city crews will be able to assist and plow state and county roads if needed. Drivers in the snow are asked to slow down, increase their following and stopping distance and brake gently. Snow plows, sanding trucks and other city work vehicles should be given extra room. Wochnick said most residential streets won't be treated or plowed, and Wochnick said residents and property owners are responsible for keeping sidewalks clear of snow and ice. "Those who walk to transit and people with disabilities rely on the clearing of sidewalks to move about safely," Wochnick said.